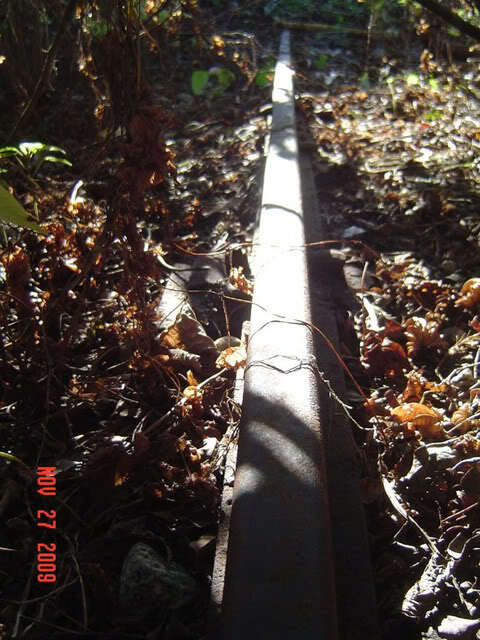 The Wilderness line has been abandoned since sometime around 1980. 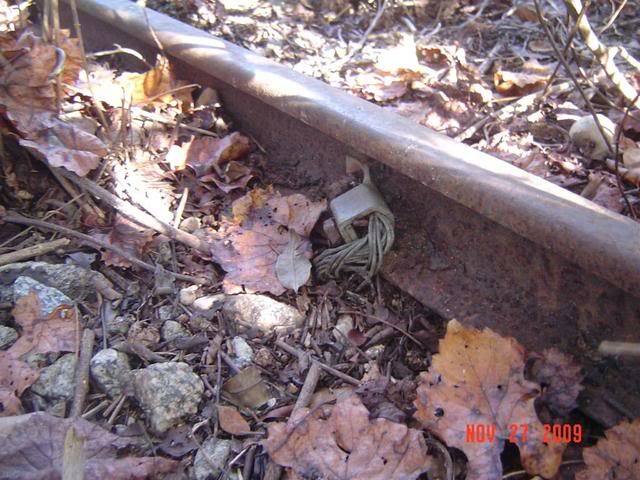 This is the only track remaining today with the rail still attached. 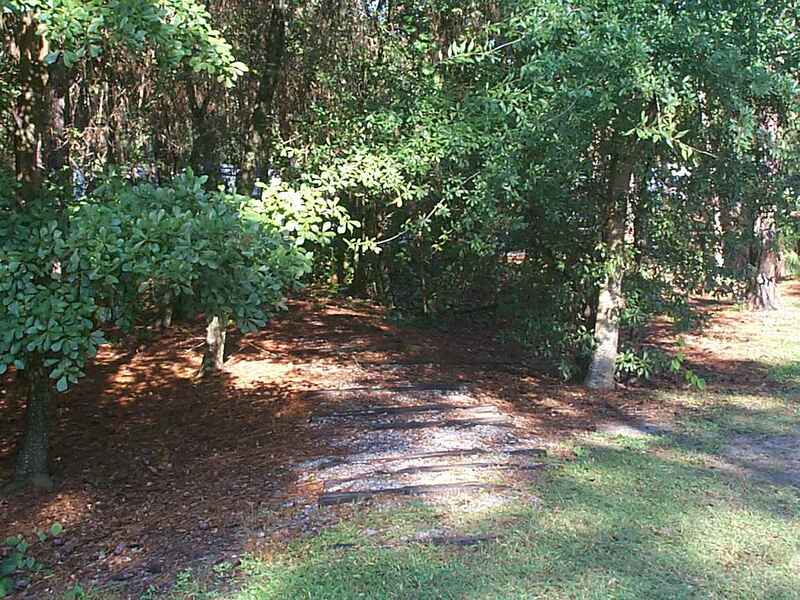 It's located between the two former trestles on the east side of the campground. Thank you Boma for photo's. 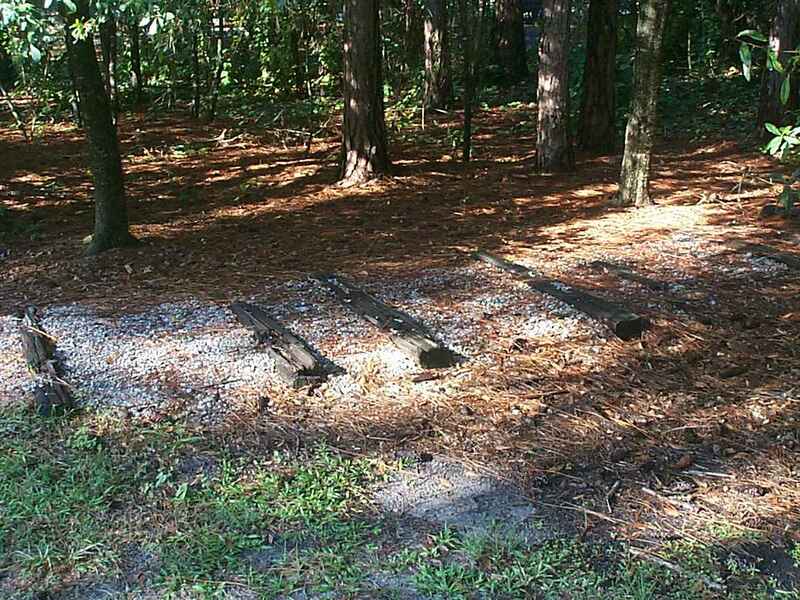 This picture was taken in 1985 of the trestle that used to be near the playground. Disney posted a sign & barrier to keep people off the trestle, but that didn't work. They finally removed the entire trestle. 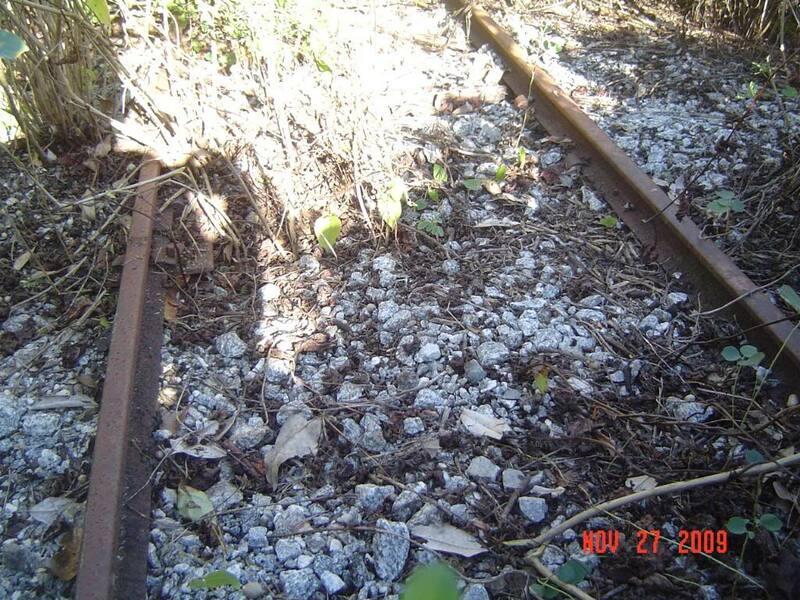 This is where the train would cross "Fort Wilderness Trail" at loops 700 & 600. 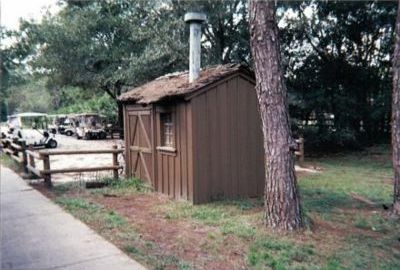 This shed houses a water softener to treat water once entering a water tower. The water tower is gone, but the water softener equipment is still inside the shed. From what I hear it didn't work very well, causing the boiler to become clogged with scale.